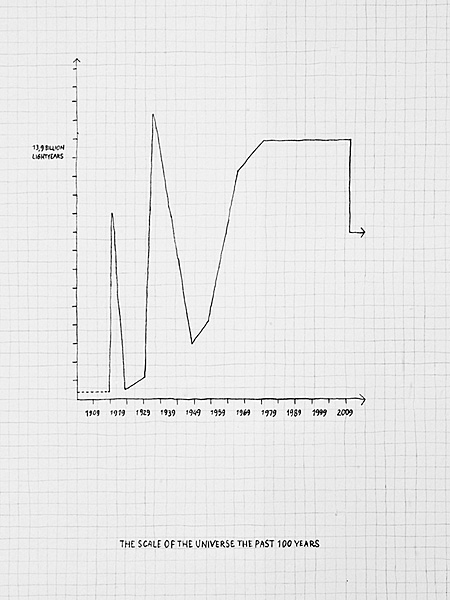 At the beginning of the 20th century the estimated size of the universe increased radically. At that time, an extensive project of photographing and mapping the entire starry sky took place at Harvard College Observatory, Cambridge, MA, where catalogue work and mathematical calculations were carried out by a group of women known as The Harvard Computers. With the introduction of photography to astronomy, the amount of scientific data processed at Harvard College Observatory became immense. Women were considered as accurate and cheap labor to perform the work, and although they had no status as scientific staff, several of them developed theories founded on the work they did. One of these theories was a method to calculate distances in space based on observations of variable stars; stars that vary in brightness over a period of time. Henrietta Swan Leavitt, who worked on classification of such stars at the observatory, found a correlation between brightness and period of a particular type of variable stars. Building on her discovery, new theories on the scale and expansion of the universe were introduced, and the scale of the universe as we know it increased by billions of light years. The work Variable Stars takes Harvard College Observatory’s grand archive of photographic plates as its very tangible vantage point. With the task to collect a sequence of stars visible from her location in Norway, the artist travelled to Cambridge and dug into the archive of photographic plates. The photographs presented in the installation Variable Stars are printed copies of glass plates taken at Harvard College Observatory, originally taken for Northern catalogue work and for the study of variable stars. They show sections of the sky that are in viewing angle from the window after sunset in the gallery room where the installation were firstly exhibited in Oslo Kunstforening, Oslo, Norway, January 17th 2009. In each photograph one cepheid or RR Lyrae star is located; two types of variable stars that are used for distance measurements. 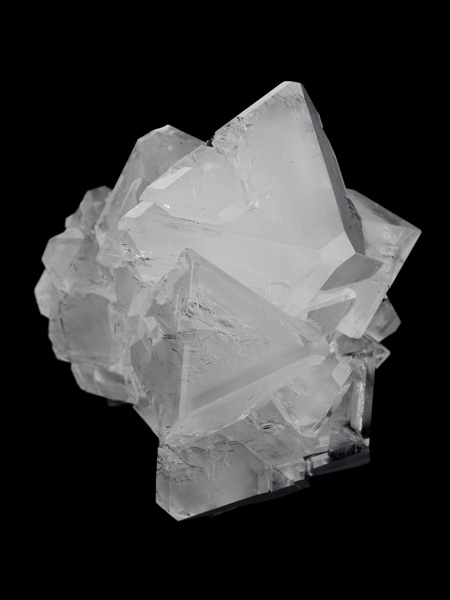 The stars are cut from the photographic copies and then used as seeds for growing crystals of alum, a substance that is used as a component in photographic paper. 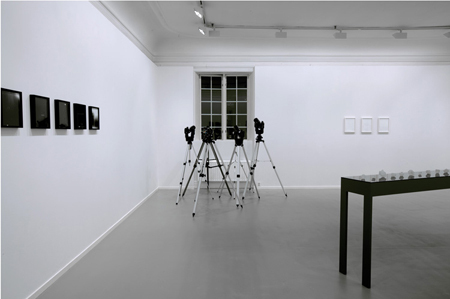 The installation on view at Oslo Kunstforening contained of 17 photographs and the corresponding crystals, telescopes at the window and a triptych of pencil drawings. This entry was posted on dinsdag, oktober 12th, 2010 at 21:52	and is filed under Cosmology, Mathematics, Visual Arts. You can follow any responses to this entry through the RSS 2.0 feed. You can skip to the end and leave a response. Pinging is currently not allowed.